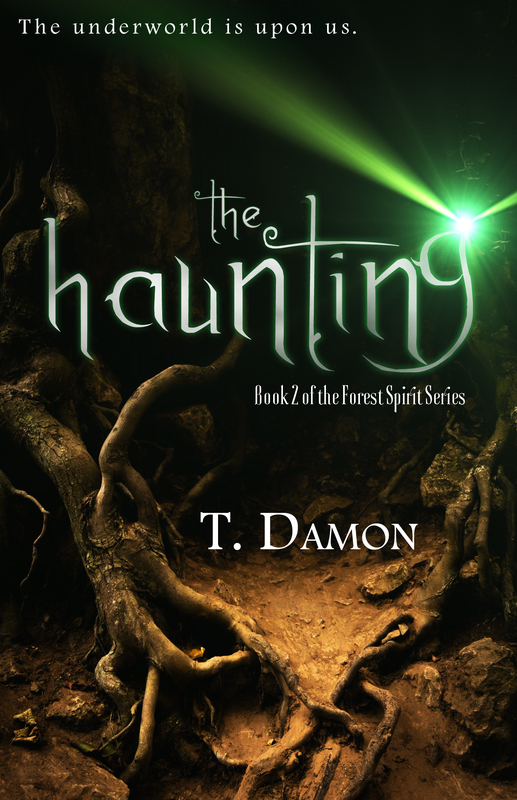 A signed and personalized copy of THE HAUNTING: BOOK TWO OF THE FOREST SPIRIT SERIES. Please indicate at checkout how you would like the book to be personalized (name, message, etc). Book Two of The Forest Spirit series. In this riveting sequel to The Falling; Felix, the inexperienced warrior son of famed nymphs Narena and Kellen, must prove his worth as a warrior to his parents and Garmon, the grumpy leader of his army, by ending Rowan’s reign and closing the doorway to the underworld. That is, if he doesn’t get distracted by beautiful warrior faery Eleonora first. An epic tale involving spirits, witches, animals, and undines, The Haunting delves into the deeper deterioration of this enchanted Forest and the struggle of unyielding power. Could there be hope for the kingdoms of the Forest, or are they doomed to succumb to the underworld?